2008. 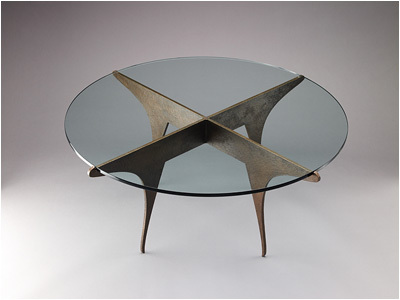 Steel with Bronze coating and glass. 16"H x 36"W x 36"D.